(EMAILWIRE.COM, August 20, 2018) Spain, Ibiza -- During early September Futurama Blockchain Innovators is hosting another ‘exclusive’ retreat, which starts right after its partner’s event Blockchain Cruise Mediterranean by Coinsbank. That time Ibiza island will bring together over 300 representatives affiliated in the crypto exchanges industry focusing on three aspects - hacking, privacy and regulation. For those who doesn't want to miss anything, we recommend to join the full European Blockchain Week from the very beginning. It's all starting on September 11 at the Coinsbank Blockchain Cruise -a huge vessel rented specially for the biggest ever crypto event will welcome 3000 participants. 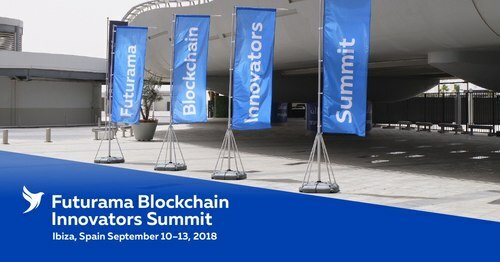 This press release was distributed by ResponseSource Press Release Wire on behalf of Futurama in the following categories: Consumer Technology, Business & Finance, Computing & Telecoms, for more information visit https://pressreleasewire.responsesource.com/about.